James Pigeau, an inmate who criticised the conditions at a jail in London, Ont., was found dead in his cell on Jan. 7. That's how James Pigeau described his life in an infamous Ontario jail — the Elgin-Middlesex Detention Centre (EMDC), in London, Ont. — during a phone call to CBC The Fifth Estate producer Joseph Loiero. In reality, he said, the conditions were anything but ideal. Pigeau was 32 years old and in jail waiting for his trial on charges of robbery and theft. On Jan. 7, he was found dead in his cell. 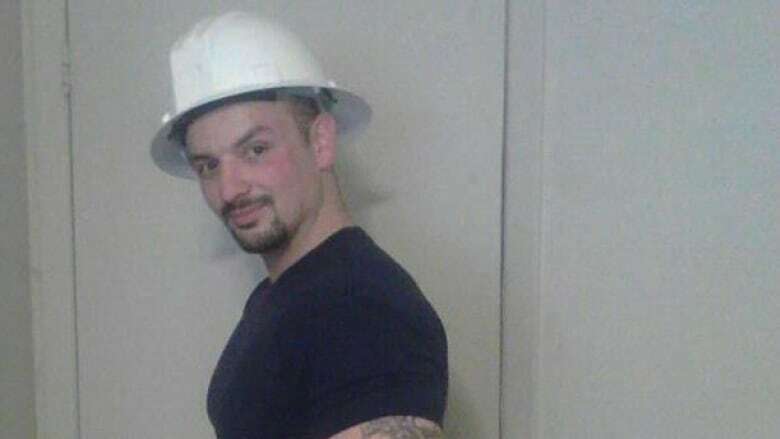 He and Loiero first started talking when The Fifth Estate was doing a story about Adam Kargus, an inmate who was murdered in his cell at EMDC in 2013, when Pigeau was also at the jail on other charges. But Pigeau wanted to keep talking about the conditions in the jail — and what he wanted to see change. The coroner has yet to rule on the cause of death, but some media are reporting a possible drug overdose, perhaps linked to fentanyl. Pigeau's was the third death in the facility since December 1. Before his death, Pigeau painted a grim portrait of life inside EMDC in those phone calls — alleged beatings by guards, rampant drug abuse by inmates, and a general lawlessness. 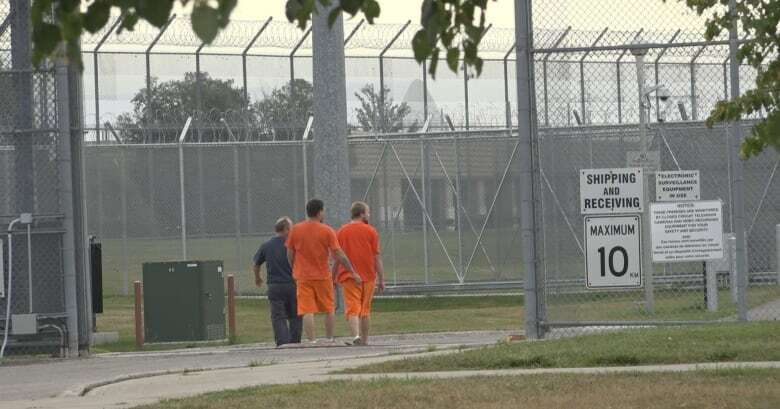 Ten thousand current and former inmates have filed a class action suit against the jail for conditions they say are inhumane. Pigeau alleges he was beaten up by several guards last summer. He says he had an altercation with some guards and that the next day, he was called aside to take his medication. Pigeau describes what he says happened next. "So basically, yeah, the 12 of them jumped me, beat the living f--- right out of me," says Pigeau. "They threw a hood over my head, and then basically as they were escorting me down to, well, dragging me down to the hole… Then I demanded pictures be taken, which they did, and then about, I think, an hour, two hours later, they found me on the floor, unconscious. So then they grabbed me and took me to the hospital." CBC The Fifth Estate could not verify how many guards were involved in the incident or how severe the injuries were, but Pigeau's lawyer Kevin Egan says that his client had been the victim of violence at the institution, and says he was beaten by several guards and taken to the hospital. Though he was trying to improve conditions for inmates and make the jail safer and more humane, Loiero says Pigeau also had a sense of hopelessness that anything would change in the jail. "This is the worst jail in Ontario," says Pigeau. "They f---ing don't give two s---s. None of your rights are upheld here, you know?" "No wonder people are so, you know, depressed," he says. "What are we supposed to do?," he says. "Lawsuits don't change anything, telling the public don't change anything, you know? Inmates are dying left, right, and centre, and the public don't give two s---s… I think nothing's gonna happen until the community is actually shown what we go through in here, how things are conducted in here." Guards at EMDC have also told CBC The Fifth Estate about their concerns over safety at the institution. Pigeau had told CBC producer Joseph Loiero that he did not use fentanyl. But he talked about how inmates at the jail used it, some for the first time, to try to cope with the conditions at EMDC. "I want the public to know that I take my responsibly to improve the conditions of our correctional system very seriously and that I will continue to take strong action to ensure the safety of our staff and inmates." The major crime unit of the London Police Service is investigating Pigeau's death. Pigeau's lawyer Kevin Egan hopes the investigation is comprehensive. "I really hope that the police do a thorough investigation, apprised of all of the background facts regarding this individual," says Egan. "I think that there is reasonable cause to have a healthy suspicion that there may be something more to it than a simple drug overdose." Egan stresses that Pigeau had an expectation of safety, even in jail. "The one thing that I think has to be stressed in all of this is that a human being has lost his life," he says. "An individual had an expectation of being kept safe, and he's dead."